Everyday Arrangements - Nothing says I love you like the random flowers for "no reason".....brighten someone's day with a random act of thoughtfulness. Special Occasions - Birthdays, Anniversaries, and Holidays, are all good reasons to freshen yours and others homes with bursts of color and sweet scents. Weddings - Its our goal to relieve you of the stress involved in planning a wedding......well.....the floral part anyway. Typically we will meet in advance and discuss color, style, etc. beyond that.... we have it covered. Your flowers will be there on your wedding day every bit as ready for the pictures as you are! Funerals - Unfortunately we have funerals and this is always a difficult time for the family and friends. Its our job to assist you in picking the appropriate arrangements to meet the desired style and budget. We try to make this an easy process allowing family and friends piece of mind during this difficult time. Green & Blooming Plants - These are also great gift ideas for special occasions or funerals. With just a little bit of care whomever receives them will have them as a reminder of your thoughtfulness for many years to come. Giftware - We have a large selection of seasonal giftware available. These items are great for adding a special touch to an arrangement or if your looking to add a seasonal flare to your home décor. At our shop we change the layout and items with the seasons so stop in often to see new trending items and decorating ideas. 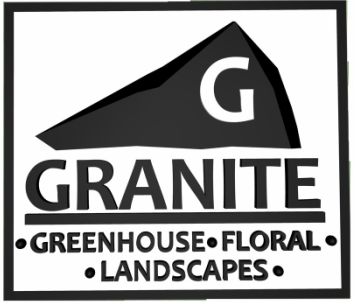 We are located in Downtown Granite Falls Riverside. Please feel free to stop in or give us a call at 320-564-2133. Thank you again for your interest in our company, products and services.